Traces of sophisticated cultures remain across what is today the United States and Canada. Located in a high desert, Chaco’s residents dedicated much of their energy to controlling water for crops. Found marking the grave of an important individual, this gorget was worn as a neck ornament during life. 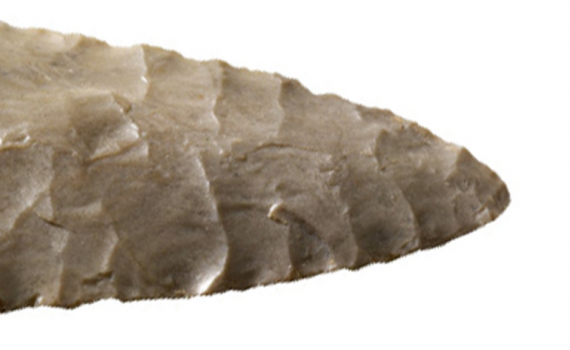 The first clear evidence of human activity in North America are spearheads used to hunt large game. Remarkable structures in the American Southwest were home to cliff-dwelling farmers until around 1300. Many interpretations have been proposed for this mound in modern-day Ohio—examine the clues and see what you think.